The startup Cube Haus launched in February as a novel way of marrying awkward urban sites with relatively affordable contemporary architecture. 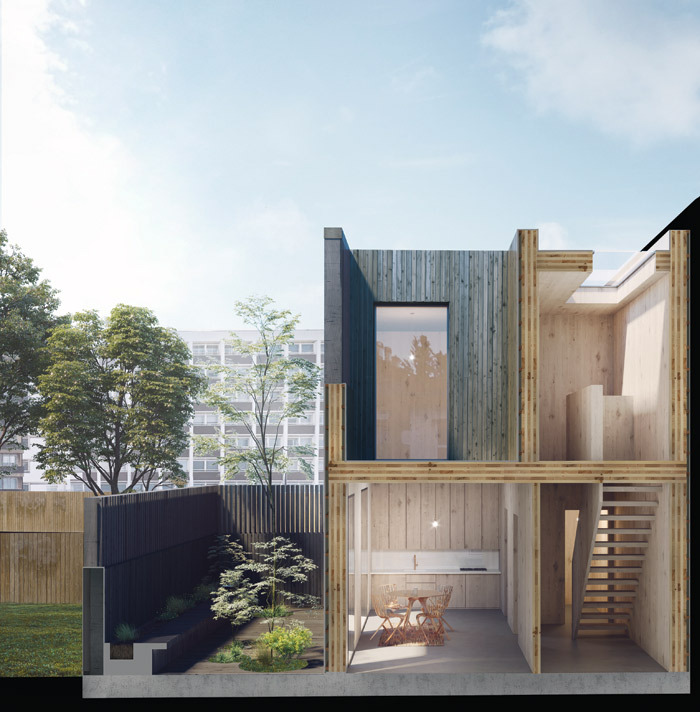 It has commissioned four wellknown architects to each design a modular home that can be bought ‘off-the-peg’ by landowners and self-builders, at a price point far more accessible than a bespoke commission. Previously Cube Haus’s founders Paul Tully and Philip Bueno de Mesquita ran a creative agency and trainer brand respectively, but they have always been interested in architecture. ‘For most people, it’s impossible to have a house built by a famous architect,’ says Tully. 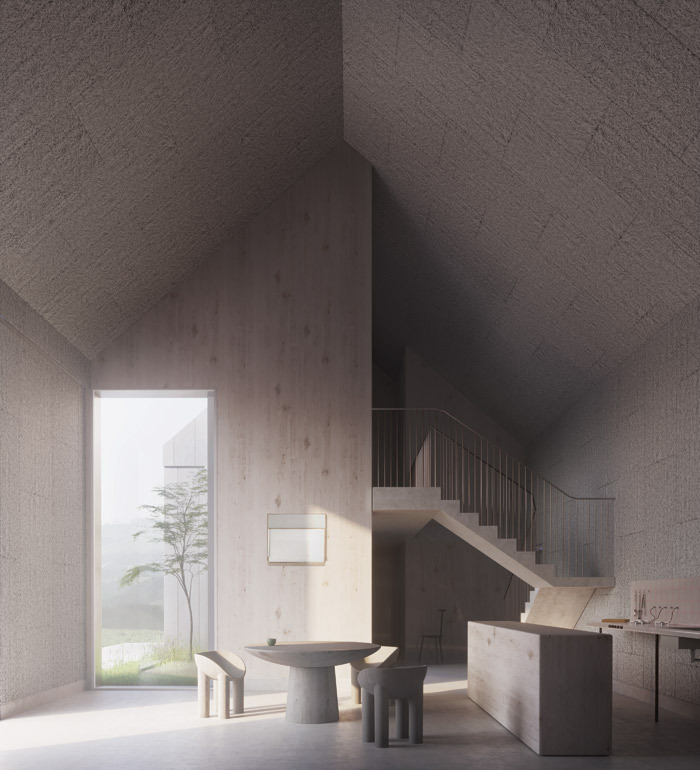 ‘We thought, why can’t we make architecture accessible to everyone?’ The pair has commissioned designs from Adjaye Associates, Skene Catling de la Peña, Carl Turner Architects (CTA) and Faye Toogood that can be customised for plots of different shapes and sizes. The firm hopes to appeal to city-dwellers with a spare bit of garden or a garage site. Tully explains how it would work: ‘If someone has their own land, they can put a small deposit down, and choose a house design. We appoint an architect, because the house will probably need to be modified for the site, and go for planning permission, then the client gets their self-build finance in place. We put in the ground work, they then pay stage payments for the completion, and we appoint a project manager to manage the process.’ Cube Haus’s pricing model for this approach excludes the cost of the land. 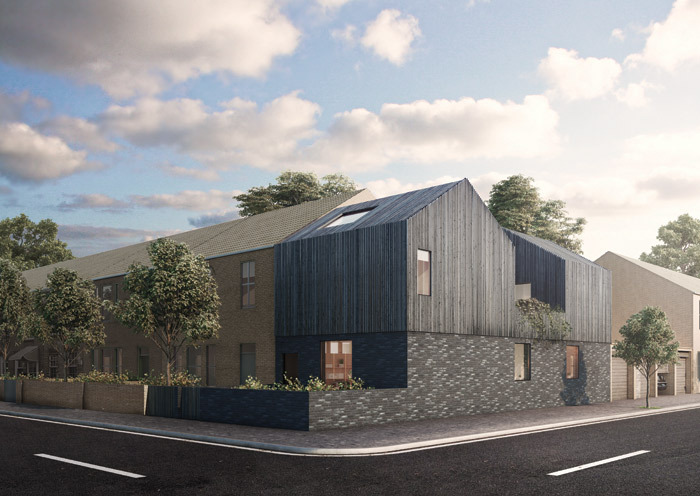 The retail price of the house they build will be £3,500 per sq m.
Alternatively, the houses can also be installed by Cube Haus on sites that the company buys through its sister business Land Converter. The person selling the land will get on average 25% of the value of the house that will be built there — for instance, £52,500 for a plot that yields a 60 sq m house. The pay-out comes as soon as planning is achieved. In contrast, if the owner sells it as a piece of land to a regular agent they are likely to get about a quarter of that, according to Bueno de Mesquita. 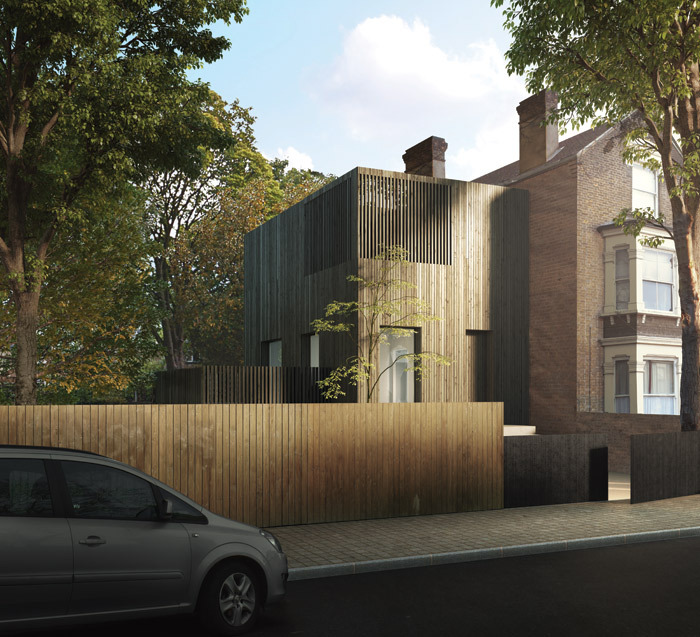 Adjaye was chosen for having built houses on the backlands of London. Turner’s credentials include Slip House (in a gap between terraced houses in Brixton) and Pop Brixton, a cultural hub built of shipping containers on a brownfield site. Each of the four designs has a different aesthetic and concept, and fits the mayor of London’s design guidelines: two-bedroom properties are approximately 60 sq m and those with three bedrooms are approximately 110 sq m.
Adjaye Associates’ solution is an adaptive plug-and-play design that can be stacked up or sprawled sideways and has an optional sunken outdoor space. CTA’s design has a moveable courtyard and a number of roofing options. 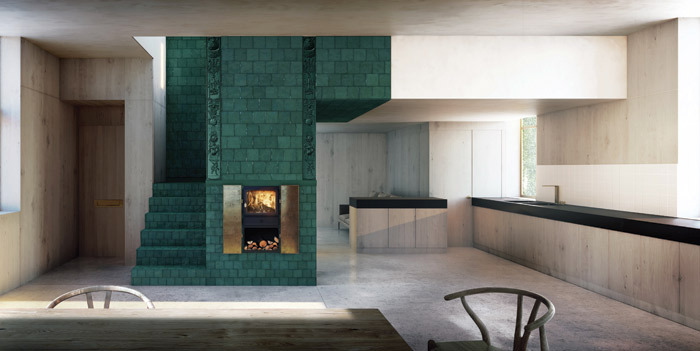 Skene Catling de la Peña’s design amasses the ‘complicated’ parts of a house into a central stove that provides not only the usual functions of heating and cooking, but also becomes the structural core of the house and manages the circulation. Too good’s uses a variety of materials, is single storied and pitch roofed. The architects retain the copyright, so they are paid every time a house is built. Cube Haus has a handful of houses in London’s outskirts in pre-planning, scheduled to be delivered in spring 2019. These are all using the Land Converter model and will be for sale. ‘Until we’ve built the prototypes we don’t want to sell them as self-build,’ says Tully. He and Bueno de Mesquita set out to address the shortage of housing in towns and cities. But Cube Haus is also getting interest from people wanting to build their own country retreat. Perhaps its primary appeal will be among design-savvy urbanites looking for a low-maintenance, rural bolt-hole. Either way, it does make interesting architecture relatively affordable.